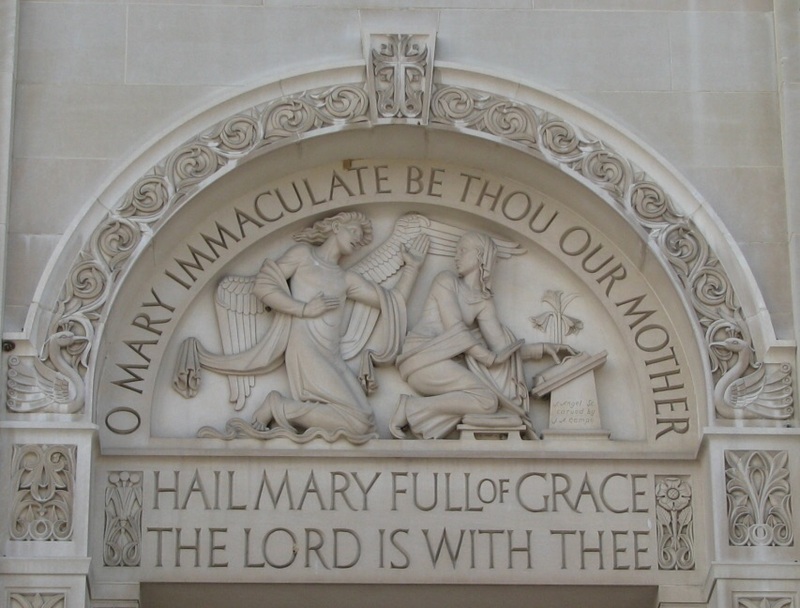 Above the entrance doors at The Basilica of the National Shrine of the Immaculate Conception in Washington, DC. March 25 is the feast of The Annunciation of Our Lord Jesus when the angel Gabriel appears to Mary exactly nine months before the birth of Jesus. All of our Lenten practices are a simple “yes” to Jesus, just as Mary said “yes” at The Annunciation. SoulCore is a new and riveting way to pray the rosary! Visit SoulCoreProject.com for more information.